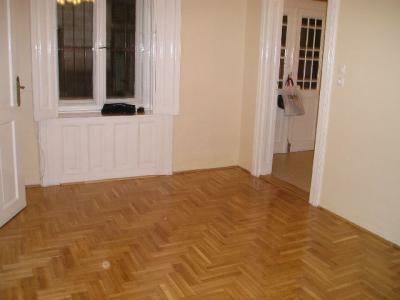 Recently renovated 3-room apartment with a pleasant atmosphere is for sale in Bródy Sándor street, close to József ringroad. The ground-floor flat has a 12-squaremeter garden, and a 6-squaremeter cellar. Just a minute away from the building there are stations of more bus and tram lines, so the apartment is easily reachable by public transport, as well.